Ibotta Battle for Bonus Cash Blue Team Members Won $16 each! I’m so bummed! I was on Purple! So what did the Blue Team win? Each Blue Team member was awarded $16.07 to their account today! 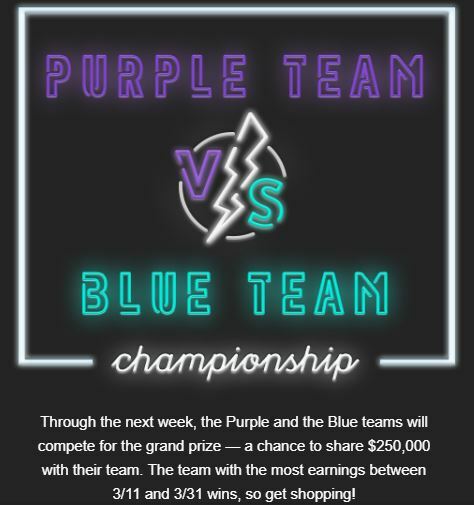 It is important to note that if you were assigned to blue team but you didn’t qualify earlier in the month (by earning $25 in redemptions) then you aren’t eligible for the split from the win. Interesting, so that means about 15,557 people from the blue team reached the $25 rebate mark. I was expecting the amount of people to be a lot more, like where everyone ended up bummed with only getting $1 a piece, lol. I was on blue and didn’t get anything yet and did reach the $25 threshold. Curious where you got this info from as I see others complaining as well that they haven’t received or heard anything about an amount yet. Wondering if this $16.07 is legit and why others, including myself haven’t received it yet. I already submitted a ticket to support earlier today. Says I was awarded $16 in a notification but do not see the amount in my account. I don’t understand! I never really understood. All i know is i’m on the blue team and met the requirements.